If your heart is in the highlands, you won't want to miss the annual Smoky Mountain Scottish Festival & Games, May 21–22 on the grounds of Maryville College in Maryville, Tennessee. This is one of the oldest Scottish Festivals in the United States, and there's no better place to discover and enjoy Scottish and Scots-Irish culture and traditions. Scottish Highland Games, a mixture of sports events, cultural events and community celebrations, are more than 2,000 years old. The games were outlawed in Scotland in 1746 following the Jacobite Rebellion, along with Scottish dress, community gatherings, and many traditions. Over the years, they've regained their popularity globally. Today Scots see the games as an important way to keep their heritage alive. 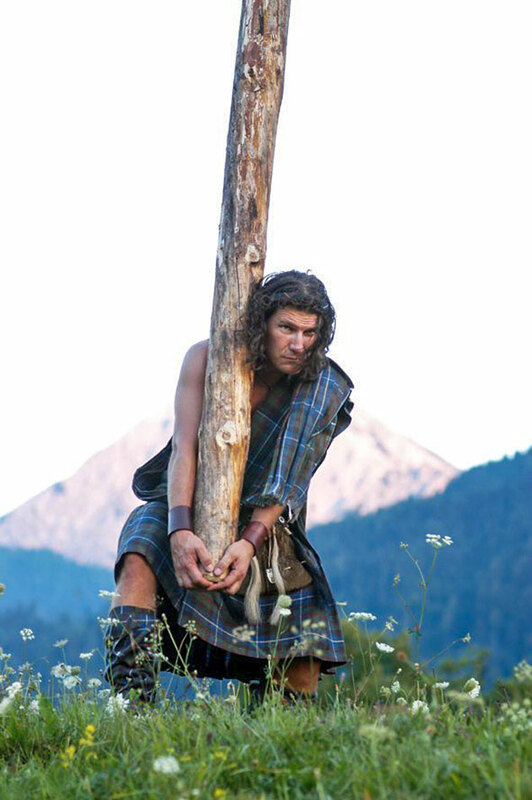 From May to September, Highland Games take place all over the world, and you don't even have to be of Scottish descent to take part. Nothing is more traditional than the presentation of Scottish pipes and drums. Saturday is the individual and band piping and drumming competition with performers competing and entertaining the crowd until 5 p.m. On Sunday, pipers and drummers will play at various sites on the festival grounds until they join together at the end of the day for the Parade of Tartans. While athletics no longer have a military connection, Highland Games athletes are fierce competitors. Watch as these strong men and women challenge one another in traditional events such as the stone put, caber toss, sheaf toss and hammer throw. If you've never seen Border Collies do what they were bred to do, plan to catch the herding demonstrations on Saturday and Sunday. Bill Coburn of Windy Knolls Farms will show you how shepherds and their dogs work together seamlessly to move and care for sheep. There's more four-pawed fun on Sunday with the popular Dog Parade. All dogs are welcome to show off their owners in a parade around Main Field. Entry is $5 and all proceeds benefit Smoky Mountain Animal Care Foundation. If you're interested in tracing your own Scottish roots, visit the Clan area and talk with the cultural heritage organizations. You'll learn about tartans, various spellings of Scottish last names, and possibly your own family history. Scottish Highland Dance is precise and graceful, and it's also competitive. Watch as the best young dancers in the U.S. compete for scholarships and bragging rights. All weekend you can relish the modern and traditional Scottish music on the Highland Stage and the Lowland Stage. Performers play everything from Celtic rock to traditional ballads complete with fiddles, pipes, and whistles. Bringing the kids? There's play area, games, and parent-child activities. Adults will find enlightening seminars, delicious traditional Scottish food, and plenty of shopping. May is a glorious time to be in Tennessee, and there's no better excuse for a weekend away than a gathering of the clans. Rent a cabin with a breathtaking view, turn off your cell phone, and join us for some traditional Scottish fun.